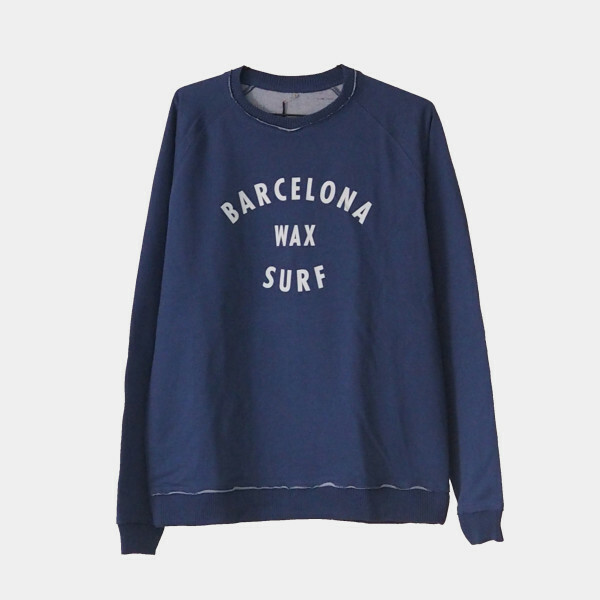 Barcelona Surf, Sweatshirt for original citizen. French terry with nice contrast between in- and outside fabric.Raglan sleeves with fashionable cut and sewn under sleeves. Crew neck with cover stitches raw edge at collar, cuffs and bottom with 2×2 rib. 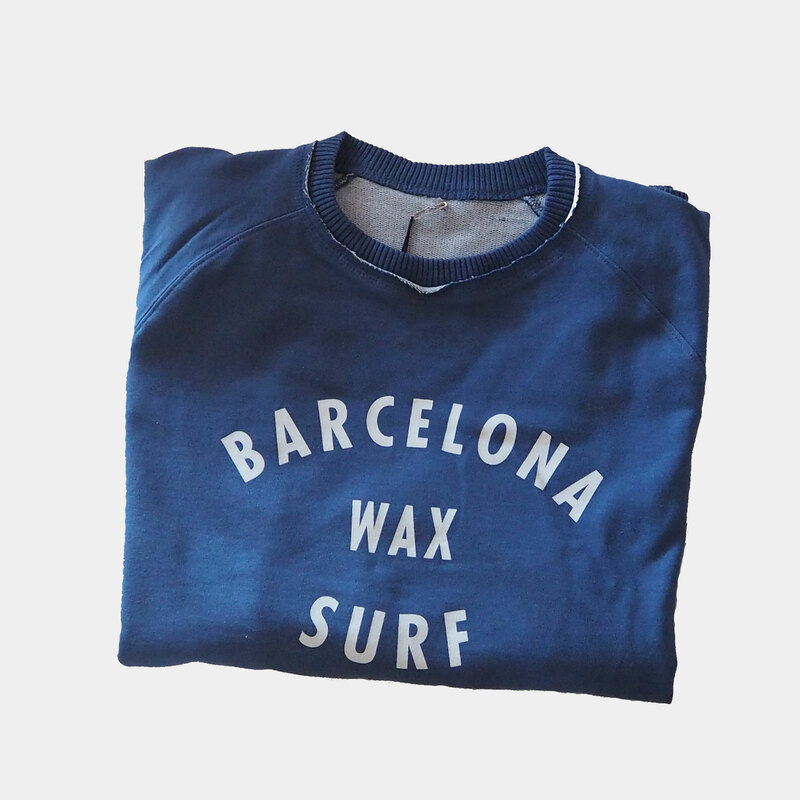 Side seams with trendy cut.